18K Yellow Gold, 2 Chalcedony Cabochon, 14 Round Diamonds 0.03 cts. 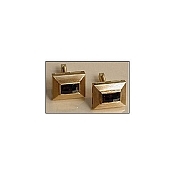 - Total Weight 0.42 cts, 2 Round Diamonds 0.10 cts. - Total Weight 0.20 cts. 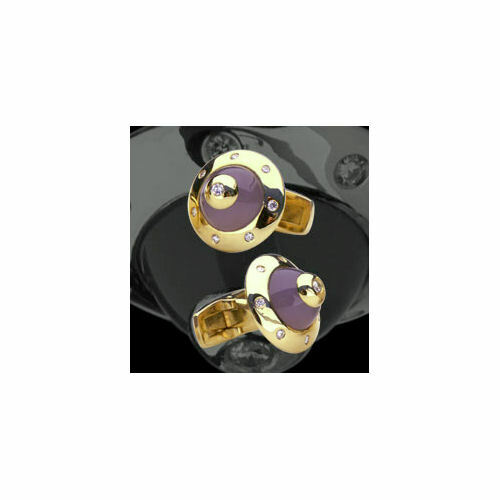 In 2004 the Robb Report awarded Atelier Yozu the distinction of best of the best Cufflinks manufacturer for the atelier's very first cuff link collection. Handmade with gold, precious gemstones, and exotic materials, these are some of the finest luxury cufflinks available in the world. 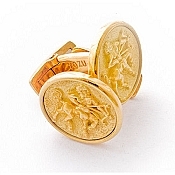 Atelier Yozu also specializes in custom cufflinks, whatever your fancy, for example your initials, your coat-of-arms or your company's logo. 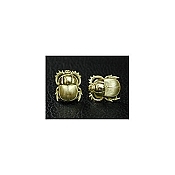 These are available in either 18kt yellow / white gold or platinum. 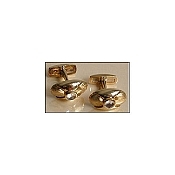 Custom cufflinks can incorporate guilloche enameling or engraving. Contact Pianki for details.